When "Apparition" arrived at Kabanae in 2002, we knew that he was something quite special. 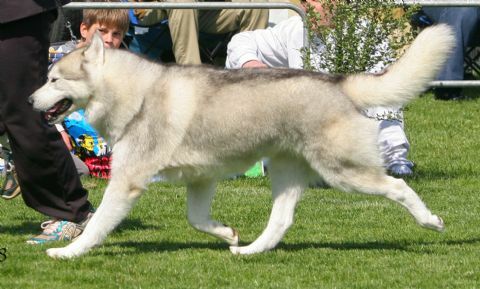 An outstanding dog, son of the wonderful AM/AUST CH. 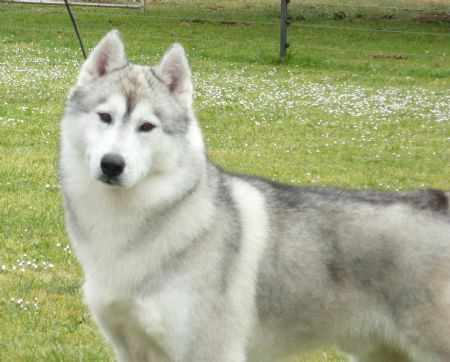 Karnovanda's Gray Spirit (Imp USA) . 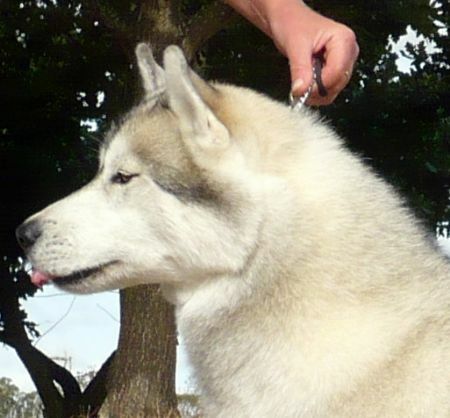 "Apparition" hasn't let us down either, he gained his Australian Championship title at an early age and has since gone on to be a multi Best in Show winner, along with many Best in Group, class in group and class in show wins (All Breeds). "Apparition" is now siring puppies with a stamp second to none, with both his sons and grandsons excelling in the showring. It is a pleasure to own this magnificent boy. DAM: AUST CH. ICEPOWER TYCHE.